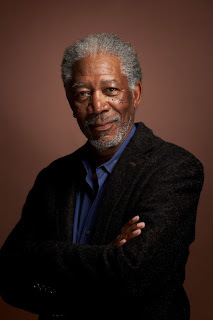 Academy Award Winner Morgan Freeman is set to star in director John Moore’s (A Good Day to Die Hard, Behind Enemy Lines, Max Payne) The Manuscript, which is based on a script by Louis Rosenberg and Joe Rosenbaum. Principal photography is set to begin on October 9th. The project is being produced by Mike Witherill (John Wick) and Mark Williams (The Accountant) and financed by The Fyzz Facility. Highland Film Group is handling international sales and will introduce the film in Toronto. Highland is co-repping the U.S. sales with CAA. A cat and mouse style thriller, The Manuscript centers on a jailed genius convict (Morgan Freeman), who leads an ambitious junior book editor, through clues in his memoir, to the 20 million in missing diamonds he stole years earlier. As the junior editor gets closer to finding out the truth about the mystery, he falls into a greater criminal ploy that leaves his life in danger. Freeman recently co-starred in Going in Style with Michael Caine and Alan Arkin for Warner Bros. and is currently in post-production with the film Villa Capri, which is set to be released later this year. Some of Freeman’s other notable credits include: Now You See Me, Lucy, Invictus and Batman Begins. Moore helmed A Good Day to Die Hard starring Bruce Willis, which earned over $300 million at the box office worldwide and Max Payne starring Mark Wahlberg – both for Twentieth Century Fox. Freeman is represented by CAA. Moore is represented by Paradigm. Rosenberg and Rosenbaum are represented by Zero Gravity Management.